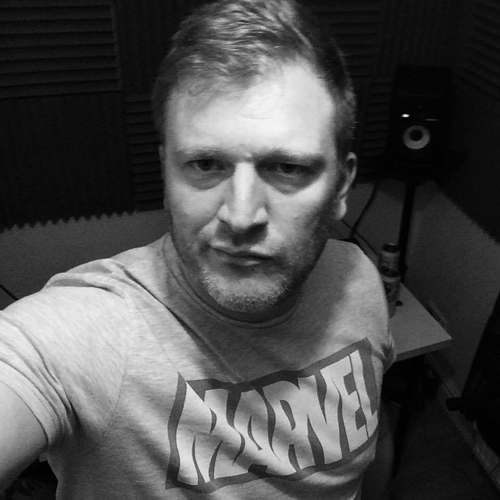 Andy Kneale from Liverpool, UK is an up and coming electronic music producer of the highest calibre who’s making waves in all the right melancholic techno oceans. His music is stacked with impressive enchanting melodies, old skool stabs and deep pads, he’s an auditory wonderment who strikes right into the heart of the listener. His obsession with electronic music started when he found himself immersed in the trance and progressive house scene. It wasn’t until the early 00’s that he became addicted to the dark and pulsating rhythms of techno when he began listening to auricular delights such as ‘Lemon Orange’ by The Youngsters, ‘Diabla’ by Funk D’Void and the immense F Communications sound that Laurent Garnier had masterfully sculpted. The irresistible lure of melodic techno had reeled him in without mercy. He soon took to writing material in which his newly found influences started to flourish. He rapidly fell head over heals into creating music, taking great comfort from it as therapy and retreat from his every day hectic schedule, always learning and surprising himself along the way. Although he’s never played any clubs, he does plan to in the future. In the mean time he’s always working on new material with his sights firmly set on having a vinyl release, something he’s always craved and something that’s tangible enough an item for keeps to show the kids. To date his releases can be found on amazing home grown digital labels Binary, Xenology and Biotech. These labels ran by amazingly down to earth people all feel like home for him, a place where the music always comes first. You can be rest assured that before his material arrives on wax there will be plenty more from him to be heard digitally. Many influential underground artists have championed his output including Mars T, Colin Dale and Nick Warren. Laurent Garnier has also provided major support from relentlessly hammering out Andy’s material and remixes in countless clubs, and from transmitting it through his ‘It is what it is’ radio show ………………… it doesn’t get much better than that.